Table Runner - Lace - White - 12" x 74"
Pearls add just the right touch of sophistication and elegance. 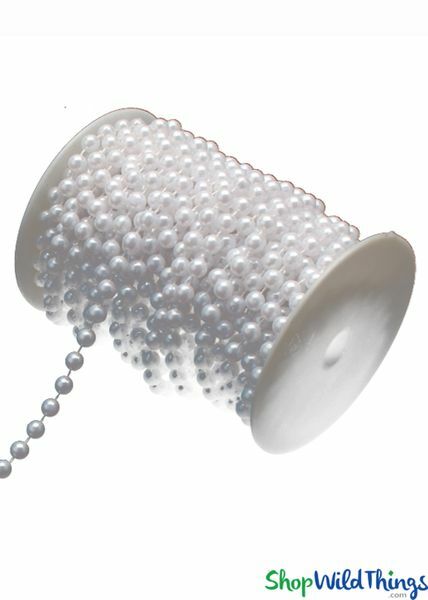 Combine that with a handy and easy to use roll and you get a 66 foot long, White Pearl Roll of Beads! That's 22 yards of style, elegance and ready to go embellishment. Fused to the strand for easy cutting, this long roll has beads that are 8mm in diameter, or just over 1/4". Use in centerpiece designs, hang from the ceiling, elevate floral d�cor, trees and wedding arches. 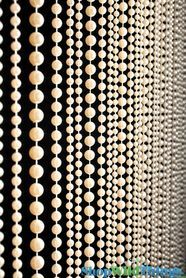 These faux beads are nice and large so they won�t get lost in other decorations and the continuous strand makes it a dream to decorate with. The sturdy strand can be cut to any length you need and the pearls won�t fall off. For weddings and special events, use this pearl roll to create a backdrop or room divider, use with tulle to deck out a wedding arch, swag from ceiling hooks with pomander flower balls or drape on trees and centerpiece decor like Manzanita Trees. 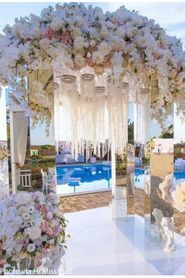 Pearls and lace are a match made in heaven and lacy parasols hanging from pearl strands not only create an impressive overhead display, but all these materials are lightweight and easy to use. For a DIY event designer, add elegant pearls strands to a Metal Chandelier Frame to create a stunning, hanging floral chandelier. Pearls look even more amazing when mixed with Crystal Clear Bead Strands or hanging crystal pendants and prisms. Elevate floral arrangements by stringing these stylish pearls throughout the design or use as vase fill. This roll is also great as trim or embellishments for arts and craft projects or hobbies and it makes an awesome garland for trees & wreaths. 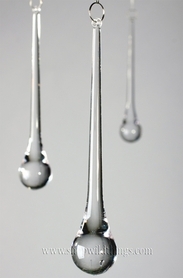 There are so many uses for this convenient strand and you�ll be using it over and over! Very nice quality and a lot for the price compared to craft stores locally. ProsGood quality and great value. Fast shipping! Nice size pearls! Exactly what we needed for our wedding decor! I highly recommend this company!